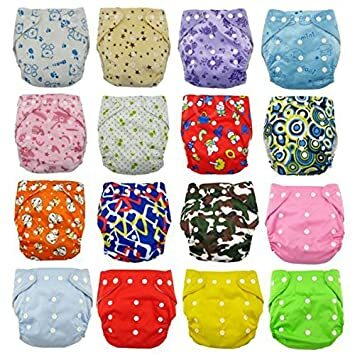 As a mother who is just defecting from the disposable camp, you need some time to get properly oriented into the beautiful world of cloth diapers. This means that you will need to interact with the right kind of information that will enable you use these diapers properly. Yes, it is true that mistakes will be made along the way. But there are some mistakes that can be avoided from the onset if you take time and educate yourself. This article is one of those guides that are intended to empower you so that you can be a proficient user of these diapers. If you don’t have any experience about diapering your baby using cloth diapers, read top rated cloth diaper reviews and choose for your little best cloth diapers. As the article progresses, you will be able to learn about some of the most common mistakes that mothers make and how to avoid them. These mistakes cut across a larger area that includes the napping process and caring for the diapers themselves. This is one of the most common mistakes that mommies make. You need to ensure that as soon as baby wets the diaper, you change it. If you don’t change the diaper on time, you are simply sentencing the baby to unnecessary discomfort and possible rashes. If you want to know how soon you need to change the diapers, just think of how soon you would like to change your own inner pants in case someone poured water on them! Many new mothers who have just joined the cloth bandwagon make the mistake of stocking fewer diapers. You need to have a minimum of at least 20 dry diapers available every time so that you don’t run out is stock. This will be advantageous to you because if you have more diapers, you will wash them less often and hence they will not wear out easily. This is another common mistake that mothers make. You need to ensure that you use natural products that are friendly to the diapers and the skin of your baby. If you use detergents that have harsh chemicals, they will damage the diapers and will still get access to the skin of your baby because they will remain in the diapers this can lead to rashes. Remember that one of the lies that the disposable diaper advocates use to discredit cloth diapers is that they cause rashes. This is another common mistake that most mothers make in the process of dealing with stains. If you bleach your diapers, you will end up weakening the fabric and the remains of the bleach will still find its way onto your baby’s skin and cause skin rashes. You need to avoid the temptation as much as possible. For you to keep your diapers clean and safe for your baby’s use, you need to wash them in hot water and dry them in a hot dryer if told you will not be able to dry them in the sun. You can use cold water only if it is the final rinse but the main washing needs to be hot. This mistake is usually made as a cover up for laziness on the side of many mothers. Instead of washing the diapers on the same day, they pile them in the pail and wait for the “big” day to do the washing. In their mind, they use natural oils to keep off the stench. However, the problem is that these oils end up weakening the ability of the diapers to absorb water but instead they repel it. To worsen matters, oils can still find their way into the skin of your baby and cause some serious interactions. To be on the safer side, wash today’s wet diapers today! This may sound harsh but it is the best way to go. You need to wash your wet diapers daily. This will ensure that diapers don’t start stinking, being more difficult to clean and also develop stain. This condition can cause the diapers to have a pungent smell after getting wet and this can lead to skin rashes. I'm Aliza Sartor, a mom of two children, founder of BabyInform.com. I love reading, cooking and doing meditation. To become an intelligence mom is not easy, I rely on the support of other blogging moms like me to help along the way. I'm glad to connect with you and be your friend!